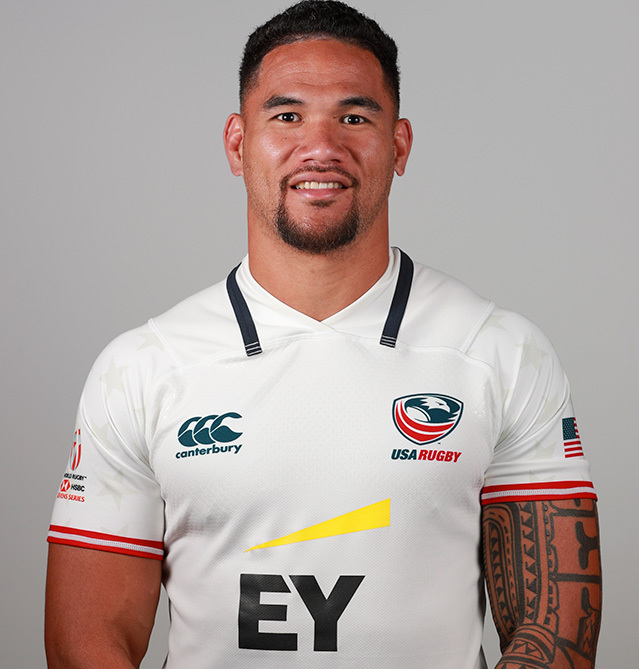 Martin Iosefo earned his first cap with the Men's Eagles Sevens after an impressive performance at the Servi RugbyTown Sevens Tournament where he scored 5 tries to help clinch a bowl victory for the 2014 AIG Men's Collegiate All-Americans. Also representing the Chicago Lions in the 2014 Emirates Airline Club 7s National Championship, Iosefo was a no-brainer for Head Coach Mike Friday in the 2014 Dubai Sevens Tournament where he made his international debut. After spending a season with the Men's Eagles Sevens, Iosefo earned a highly-coveted opportunity to travel as a reserve for the Rugby Sevens' debut at the Rio 2016 Olympic Summer Games. At the Games, Iosefo became an official Olympian when he suited up for the United States' final day of competition at Diodoro Stadium. Following his Team USA assignment in Rio, Iosefo was selected to be part of the USA Rugby Selects (XV) developmental squad for the Americas Pacific Challenge where he started all three matches. At the 2018 USA Sevens tournament, Iosefo scored three tries to help the United States clinch their first ever Cup title on home soil.